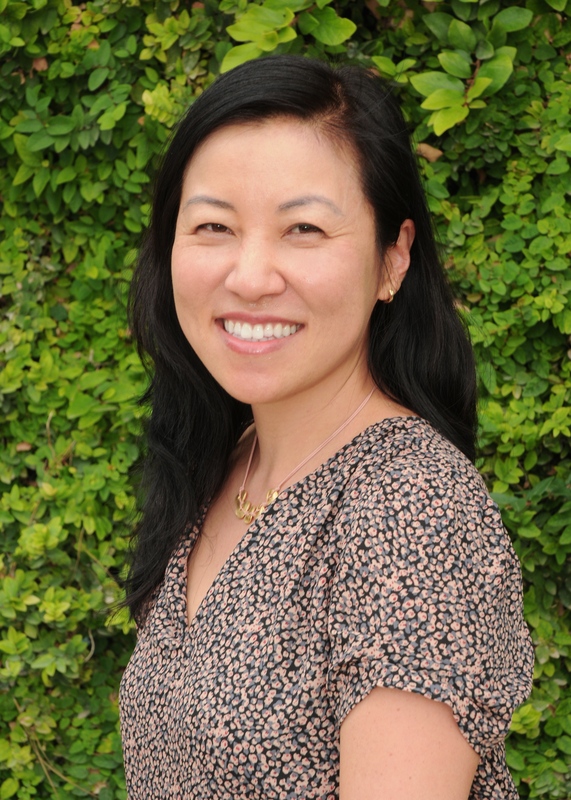 Jenny J. Lee is a professor at the Center for the Study of Higher Education at the University of Arizona and former researcher at the Higher Education Research Institute at UCLA, where she obtained her PhD. She is currently a NAFSA senior fellow for internationalization, the associate editor for the Review of Higher Education, and co-editor of the book series, Studies in Global Higher Education, with Palgrave/Macmillan. She is also on the editorial boards for Higher Education and Religion and Education. She formerly served as the Director of the Center of the Study of Higher Education, Director of Project SOAR (Student Outreach, Access, and Resiliency), co-Director of Native SOAR, and Chair for the Council of International Higher Education within the Association for the Study of Higher Education. Dr. Lee's research encompasses a range of key higher education issues that center on organizational cultures and the underlying influences as they relate to important patterns of organizational behaviors and change in the academy. Her research topics have included academic and administrative labor markets, university partnerships, student engagement, and internationalization. Her ongoing research on international students mobility and experiences in the US, South Africa, Mexico, and Korea over the past decade have been cited widely in the US and abroad. Dr. Lee has authored and co-authored over 60 publications in these research areas. Her articles have appeared in the top journals of higher education, including Higher Education, Research in Higher Education, Review of Higher Education, Journal of Higher Education, Journal of College Student Development, Harvard Educational Review, and others. Dr. Lee has been recognized and awarded by the American College Personnel Association as an Emerging Scholar and an Erasmus Scholar by the UA College of Education. She is also the 2009 recipient of the Outstanding Faculty Award by the Asian American Faculty, Staff & Alumni Association at the University of Arizona. She was also recognized as one of the nation's top emerging scholars by Diverse Issues in Higher Education in 2011. Dr. Lee has served as an Honorary Invited Scholar in Korea University and Honorary Visiting Scholar in City University, London. She was formerly a Fulbright Scholar to South Africa (2013-2015) and is currently a visiting scholar at the Unviersity of Cape Town, South Africa. She is currently investigating international student mobility within the African continent. Hensley, B., Galilee-Belfer, M., & Lee, J. J. (2013). What is the greater good? The discourse on public and private roles of higher education in the new economy. Journal of Higher Education Policy and Management , 35(5), 553-567. Abstract: This study examined the ways that the 'public good' of higher education is being conceptualised as economic benefits and cost/benefit rationalities in the current economic downturn. Based on the case of Arizona in the United States, a discourse analysis of speeches was performed on the way public, state and institutional leaders described ways that the public higher education system must respond in the changing global economy with less state funds directed towards public institutions. The findings demonstrate the changing public nature of higher education from emphasising individual over societal benefits, thus also reflecting changing funding sources. © 2013 © Association for Tertiary Education Management and the LH Martin Institute for Tertiary Education Leadership and Management. Lee, J. J., & Helm, M. (2013). Student affairs capitalism and early-career student affairs professionals. Journal of Student Affairs Research and Practice , 50(3), 290-307. Abstract: This study explores student affairs capitalism as the alteration of professional practice towards the financial interests of institutions. Student affairs capitalism has the potential to create dynamics in which the interests of students become secondary to the institution's economic needs. This study examined this phenomenon from the perspectives of early-career student affairs professionals with particular focus on possible professional tensions. Findings have implications for student services, student affairs preparation programs, and student affairs professional associations. © NASPA 2013. Solem, M., Kollasch, A., & Lee, J. (2013). Career goals, pathways and competencies of geography graduate students in the USA. Journal of Geography in Higher Education , 37(1), 92-116. Abstract: This study examines the motivations and career goals of geography graduate students and the extent they are prepared in transferable skills. Women and students specializing in geographic information science and technology are primarily motivated by career opportunities in the private sector, whereas doctoral students express a preference for academic career paths and their goals are more influenced by faculty and departmental prestige. Students in Master's programs and those specializing in physical geography are more likely to seek positions with government employers. Master's and doctoral programs are providing opportunities for students to develop competency in a wide-range of transferable skills. However, there are many organizational and business-oriented skills that employers value but which are not commonly taught in graduate curricula in geography programs. © 2013 Copyright Taylor and Francis Group, LLC. Kiyama, J. M., Lee, J. J., & Rhoades, G. (2012). A critical agency network model for building an integrated outreach program. Journal of Higher Education , 83(2), 276-303. Abstract: This study considers a distinct case of a college outreach program that integrates student affairs staff, academic administrators, and faculty across campus. The authors find that social networks and critical agency help to understand the integration of these various professionals and offer a critical agency network model of enacting change. © 2012 by The Ohio State University. Lee, J., Lee, J. J., Tang, D. H., Armstrong, E. P., & Lee, J. J. (2012). Cost-utility analysis of biologic treatments for moderate-to-severe Crohn's disease. Pharmacotherapy , 32(6). To compare the cost versus utility of four guideline-recommended biologic treatments-infliximab, adalimumab, certolizumab pegol, and natalizumab-for the treatment of Crohn's disease from a United States payer perspective. Lee, J., Lee, J. J., Weiss, B. D., & Lee, J. J. (2012). Aging: Is your patient taking too many pills?. The Journal of family practice , 61(11). Before you prescribe another drug, consider whether new symptoms might be caused by the medications the patient is already taking. Espino, M. M., & Lee, J. J. (2011). Understanding resistance: Reflections on race and privilege through service-learning. Equity and Excellence in Education , 44(2), 136-152. Abstract: Service-learning has been hailed as an effective means to bridge classroom learning with practical application in the local context. Numerous studies have demonstrated the educational value of service-learning, particularly the potential to build awareness and appreciation for diversity. Students' resistance to even acknowledging issues of oppression, such as racism and classism, has received far less attention. This inquiry explored how 63 undergraduate students responded to issues concerning race and privilege as they participated in a service-learning course and identified sources of resistance (racial/class complicity, racial/class consciousness, and racial/class action) across racial/ethnic and class backgrounds. The study offers new implications for incorporating diversity issues in servicelearning programs. This language barrier, I feel, should be motivation for immigrants to learn English faster because, frankly, when they come to this country, they should have to speak English in all professional, educational, and social settings, no matter what. If an immigrant is resistant to learning the native language, then perhaps they should be restricted to low-income, service-based jobs. (Student in service-learning course). © University of Massachusetts Amherst School of Education. Lee, J., & Opio, T. (2011). Coming to America: Challenges and difficulties faced by African student athletes. Sport, Education and Society , 16(5), 629-644. Abstract: There is a considerable lack of literature on international student athletes despite the extent to which colleges and universities are increasingly relying on them to heighten the winning reputation of their sports programs. This research focuses on international student athletes from Africa. Based on interviews of 16 student athletes from seven different African countries, the range of their experiences upon entering universities in the United States, particularly their challenges, were identified. Many of the serious issues affecting the student athletes were matters related to the host environment's underestimations about the African student athletes' desires to learn, misunderstandings about their culture and religions and other negative assumptions that undermined their academic success. We also found that the vast majority of these student athletes experienced negative stereotypes and discrimination based on their race and their region of origin. © 2011 Copyright Taylor and Francis Group, LLC. Solem, M. N., Lee, J., & Schlemper, M. B. (2011). 'Departmental climate and student experiences in geography graduate programs': Research for enhancing departments and graduate education. Journal of Geography in Higher Education , 35(1), 5-9. Burchell, J. A., Lee, J. J., & Olson, S. M. (2010). University student affairs staff and their spiritual discussions with students. Religion and Education , 37(2), 114-128. Abstract: University student affairs professionals are in a unique position to provide outlets for students to grapple with spirituality issues outside the formal classroom setting. But, how do their feelings about spirituality affect their interactions with students? The purpose of this research is to examine how student affairs professionals' comfort level with spirituality affects their interactions with students. Based on interviews with 70 student affairs professionals, this study identifies a range of ways spiritual discussions may occur. © Taylor & Francis Group, LLC. Cantwell, B., & Lee, J. J. (2010). Unseen workers in the academic factory: Perceptions of neoracism among international postdocs in the United States and the United Kingdom. Harvard Educational Review , 80(4), 490-516. Abstract: In this article, Brendan Cantwell and Jenny J. Lee examine the experiences of international postdocs and their varying career paths in the current political economy of academic capitalism through the lens of neoracism. Using in-depth interviews with science and engineering faculty and international postdocs in the United States and the United Kingdom, the authors identify differing faculty expectations and treatment of international postdocs. They further reveal culturally specific stereotypes that negatively affected postdocs' work opportunities as they moved toward their professoriate career. The authors extend the concept of neoracism in globalized higher education by examining the larger structures of the academic job market and varying degrees of opportunity, depending on one's country of origin as reported by faculty and postdocs. Copyright © by the President and Fellows of Harvard College. Kim, K. A., Sax, L. J., Lee, J. J., & Hagedorn, L. S. (2010). Redefining nontraditional students: Exploring the self-perceptions of community college students. Community College Journal of Research and Practice , 34(5), 402-422. Abstract: Recognition of the nontraditional student in higher education is valuable because it promotes an awareness of issues particularly relevant to the community college student population. While research that categorizes students by age is a practical way to study a unique population within community colleges, this approach may not be the most preferred way to examine the complexities of community college students. This study focused on community college students' self-perceptions of their primary roles as students, employees, and parents, thereby offering an alternative to utilizing predefined categories in order to distinguish between groups (e.g., based on age). The findings also shed light on unique characteristics that differentiate among students who identify their roles primarily as students, employees, or parents. In fact, this study shows that even students often considered "traditional" may have qualities that are typically considered nontraditional. © Taylor & Francis Group, LLC. Lee, J. J. (2010). International students' experiences and attitudes at a US host institution: Self-reports and future recommendations. Journal of Research in International Education , 9(1), 66-84. Abstract: This article examines international students' experiences at a US university and how these might influence them to recommend or not recommend that others from their home country attend it. Data were collected via online survey at a large public university in the US Southwest. Students from predominantly non-White regions of origin had more negative experiences. Findings suggest that perceptions of unequal treatment are a major factor influencing international students' attitudes. © The Author(s) 2010. Lee, J. J., & Kim, D. (2010). Brain gain or brain circulation? U.S. doctoral recipients returning to South Korea. Higher Education , 59(5), 627-643. Abstract: This study explored the reasons for current reverse mobility patterns in South Korea and how the country benefits from returning U.S. doctoral recipients in the forms of brain gain and brain circulation. Based on interviews of Korean faculty who studied in the U.S., this study found that while the political economy might help to explain why Korean students choose to study in the U.S., it does not fully capture their decisions to return. Family ties and cultural reasons transcended reasons related to economic mobility. The study also found that while both brain gain and brain circulation were present, brain adaptation was especially prevalent. © Springer Science+Business Media B.V. 2009. Cantwell, B., Luca, S. G., & Lee, J. J. (2009). Exploring the orientations of international students in Mexico: Differences by region of origin. Higher Education , 57(3), 335-354. Abstract: This study examined the dispositions, experiences, and expectations of international students in a developing country to understand the increasing phenomenon of reverse student flows and the role of the political economy in international student mobility. Students' dispositions, experiences and expectations-referred here collectively as "orientations"-served as the guiding framework for this study. Data were drawn from survey responses from 279 international students at universities throughout Mexico and analyzed to explore the orientations among students from Europe, Latin America and North America. Findings showed significant differences among international students' dispositions, experiences, and expectations by these geographical regions of origin. In a broader context, this research addressed the important role of developing countries as not only senders but also receivers of international students. This research also demonstrated the ways that the political economy shape the orientations of students studying abroad. © 2008 Springer Science+Business Media B.V.
Solem, M., Lee, J., & Schlemper, B. (2009). Departmental climate and student experiences in graduate geography programs. Research in Higher Education , 50(3), 268-292. Abstract: This study explores how graduate students enrolled in M.A./M.S. and Ph.D. geography programs perceive the social and academic climate of their departments. A second objective is to understand how these students self-assess their own professional abilities, values, and goals, and whether these self-assessments differ across demographic and institutional contexts. The survey instrument for this research is based on data collected from graduate student focus groups and on validated constructs of academic culture and climate from previous research. T-tests, ANOVA, and regression analyses identified significant differences among graduate students and their perceptions of departmental climate when compared on the basis of gender, citizenship, race/ethnicity, disciplinary subfield, and institutional type. Interview data provide additional context for analysis of the survey data. The primary areas in which we detected differences in graduate students' experiences were 1) diversity issues, 2) disciplinary and institutional cultures, 3) career planning and development, 4) financial matters, and 5) quality of the learning environment. These differences result from the varying social and academic dynamics of graduate programs, illustrating the importance of the local environment in shaping student experiences. © Springer Science+Business Media, LLC 2008. Lee, J. (2008). Beyond borders: International student pathways to the United States. Journal of Studies in International Education , 12(3), 308-327. Abstract: This study investigates college access in the United States and within the larger context of the global marketplace as a way to extend current views of college access to the international realm. Using surveys and interviews among international students in a case U.S. institution, this study finds that information sources and reasons for studying at the U.S. institution differ by international student background characteristics. This study then further elaborates on the diverse pathways based on international students' backgrounds as a way to expand current conceptions of college access. © 2008 SAGE Publications. Lee, J. J. (2007). The shaping of the departmental culture: Measuring the relative influences of the institution and discipline. Journal of Higher Education Policy and Management , 29(1), 41-55. Abstract: Despite its fundamental role in the structure and function of higher education, departmental culture has received little attention from higher education scholars and virtually no research has been done on how departmental culture is shaped by the larger disciplinary and institutional cultures. This study demonstrates the extent to which different aspects of departmental culture can be attributed to the influence of institutional and disciplinary cultures. © 2007 Association for Tertiary Education Management. Lee, J. J., & Rice, C. (2007). Welcome to America? International student perceptions of discrimination. Higher Education , 53(3), 381-409. Abstract: This research explores the experiences of international students at a research university in the U.S. Southwest. Based on interviews of a sample of 24 students from 15 countries, we consider a range of difficulties they encounter which runs from perceptions of unfairness and inhospitality to cultural intolerance and confrontation. Utilizing the conceptual framework of neo-racism to explain many of their experiences, we organize our analysis and discussion around their words and the contexts in which the difficulties they encounter emerge. We find that not all of the issues international students face can be problematized as matters of adjustment, as much research does, but that some of the more serious challenges are due to inadequacies within the host society. © Springer Science+Business Media B.V. 2007. Lee, J. J. (2004). Comparing institutional relationships with academic departments: A study of five academic fields. Research in Higher Education , 45(6), 603-624. Abstract: Any effort to understand academic departments would be facilitated by a better understanding of its relationship between its two larger spheres: the institution and the discipline. This study particularly asks: How do the relationships between institutional culture and the culture of the academic department vary by disciplinary field Using discriminant analyses, this study compares five disciplinary fields (i.e., Biology, Business, Education, English, and Political Science) across varying aspects of culture (i.e., Instrumental Orientation, Affective/Multicultural Orientation, Interpersonal Orientation, and Reputation Orientation, etc.). Correlation analyses then reveal the extent to which these same aspects of culture for the institution are associated with the departmental culture for each of the five fields. Lee, J. J., & Rhoads, R. A. (2004). Faculty entrepreneurialism and the challenge to undergraduate education at research universities. Research in Higher Education , 45(7), 739-760. Abstract: This study attempts to unravel the complex relationships between faculty entrepreneurialism and teaching. Specifically, this study (1) compares the extent of entrepreneurial activities (i.e., using funds for research and consulting activity) across disciplinary fields and levels of teaching commitment and (2) examines the relative effects of faculty entrepreneurialism on commitment to teaching. Using a national database of four-year college faculty, research findings demonstrate variations of teaching commitment with respect to disciplinary fields and forms of entrepreneurial activities. More important, this study reveals rather strong negative relationships between using funds for research and teaching commitment. Such findings have important implications for policy makers, administrative leaders, and university faculty as they seek to balance the institution's instructional mission in light of the increasing trend toward entrepreneurialism. Lee, J. J., Oseguera, L., Kim, K. A., Fann, A., Davis, T. M., & Rhoads, R. A. (2004). Tangles in the tapestry: Cultural barriers to graduate student unionization. Journal of Higher Education , 75(3), 340-361. Astin, A. W., & Lee, J. J. (2003). How risky are one-shot cross-sectional assessments of undergraduate students?. Research in Higher Education , 44(6), 657-672. Abstract: The purpose of this study was to explore the extent of possible input bias associated with the rapidly growing use by colleges and universities of one-time cross-sectional assessments of students. The results presented in this study demonstrate that cross-sectional assessments of enrolled college students are very difficult to interpret because they inevitably reflect characteristics of the same students when they first entered college. For those forms of engagement that have to do with how students allocate their time, it appears that the majority of variation among institutions is attributable to entering freshman characteristics rather than to institutional policies or practices. Thus, rather than relying solely on student outcome data, institutions should ideally also collect pretest or input information from the same students when they first matriculate. Lee, J. J. (2002). Changing worlds, changing selves: The experience of the religious self among catholic collegians. Journal of College Student Development , 43(3), 341-356. Abstract: The interplay between students' views of college and of the religious self was examined to understand the internal processes of those who underwent a religious change. Interviews of four traditional-aged college students representing diverse ethnic backgrounds demonstrate how social and academic communities contribute to changes towards a redefined spiritual self. Lee, J. J. (2002). Religion and college attendance: Change among students. Review of Higher Education , 25(4), 369-384. Rhoads, R. A., Lee, J. J., & Yamada, M. (2002). Panethnicity and collective action among Asian American students: A qualitative case study. Journal of College Student Development , 43(6), 876-891. Abstract: The authors explore collective action among Asian Americans participating in a panethnic student organization. Based on a qualitative case study, the authors note forms of discrimination faced by Asian American students along with collective action designed to challenge the campus racial climate. Additionally, the authors discuss three dimensions of panethnicity: political, cultural, and social. The findings primarily derive from formal interviews with 16 students.